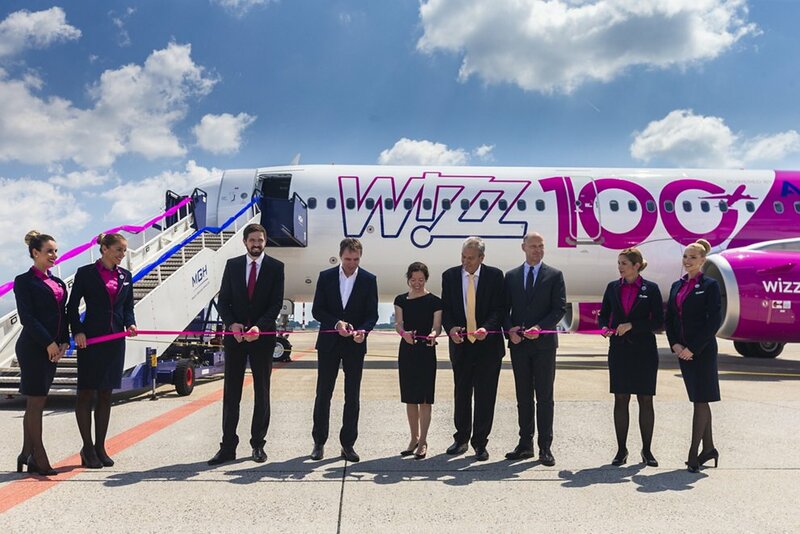 The rapidly growing low-cost European airline Wizz Air has taken delivery of its 100th A320 Family aircraft, an A321ceo, at an event in Budapest Airport. The celebration event was attended by Mr Levente Magyar, Hungary’s Deputy Minister of Foreign Affairs; Mr. József Váradi, WIZZ’s Chief Executive Officer; Dr. Andreas Kramer, Airbus Vice President Sales Eastern Europe and Central Asia; as well as Mrs. Jessica Villardi, Pratt & Whitney Regional Vice President, Europe, Russia & CIS. “Wizz Air started to operate its first Airbus aircraft 14 years ago. Today Wizz Air has become a true success story, and we are proud to have played a major role in this journey, providing the most efficient aircraft with the lowest operating costs combined with unbeatable comfort in the widest single-aisle cabin in the skies,” said Eric Schulz, Airbus Chief Commercial Officer. The A320 Family is the world’s best-selling single-aisle product line with more than 14,000 orders since launch and more than 8,100 aircraft delivered. Thanks to their widest cabin, all members of the A320 Family offer unmatched comfort in all classes and Airbus’ 18-inch-wide seats in economy as standard. With one aircraft in four sizes (A318, A319, A320 and A321), the A320 Family – seating from 100 to 244 passengers –seamlessly covers the entire single-aisle segment, from low- to high-density domestic to longer range routes.